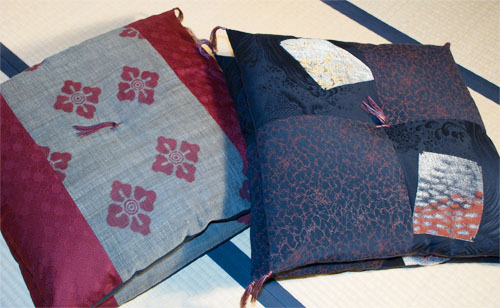 Aside from our traditional buckwheat hull pillows (used primarily for sleeping) we make many different types of decorative pillows. 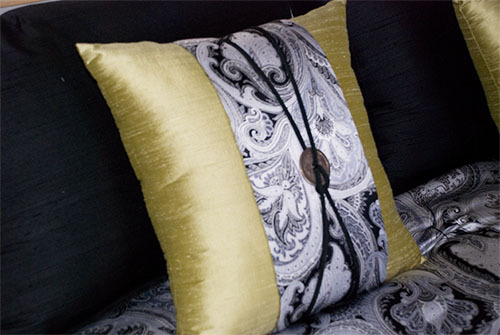 We love mixing fabrics! 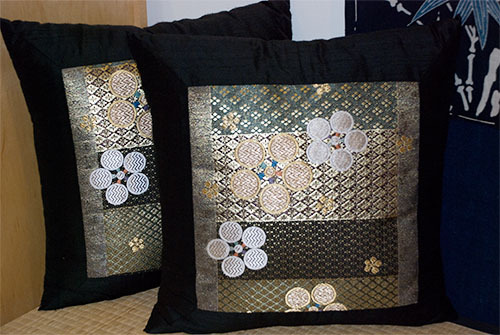 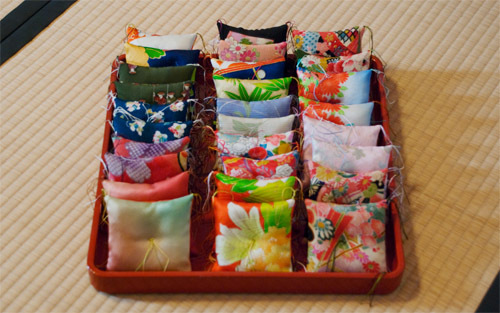 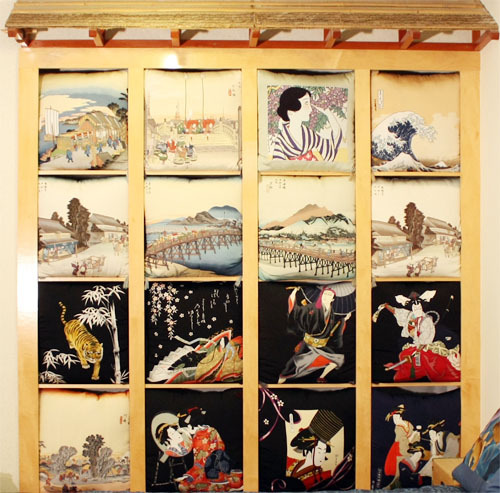 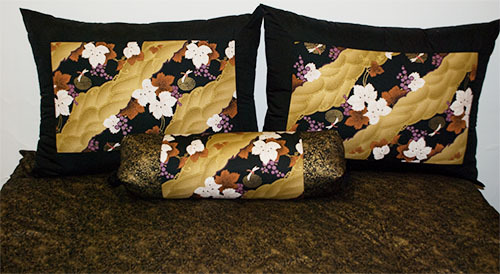 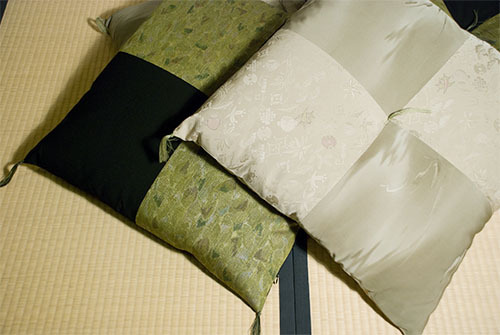 Our huge collection of new and vintage fabrics allows us to create for you special one-of-a-kind zabuton floor cushions, obi pillows, and other accents for your bed, chair, or sofa.